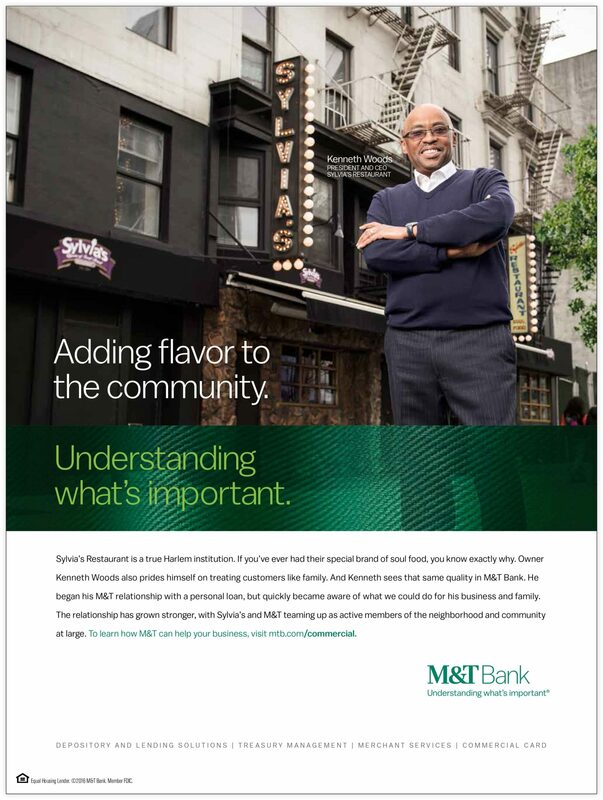 In late 2015, M&T Bank completed a merger with Hudson City Savings Bank – a financial institution with a relatively small retail customer base, but a strong business and commercial arm. This would build on M&T’s already robust business banking story in the New York metro region. 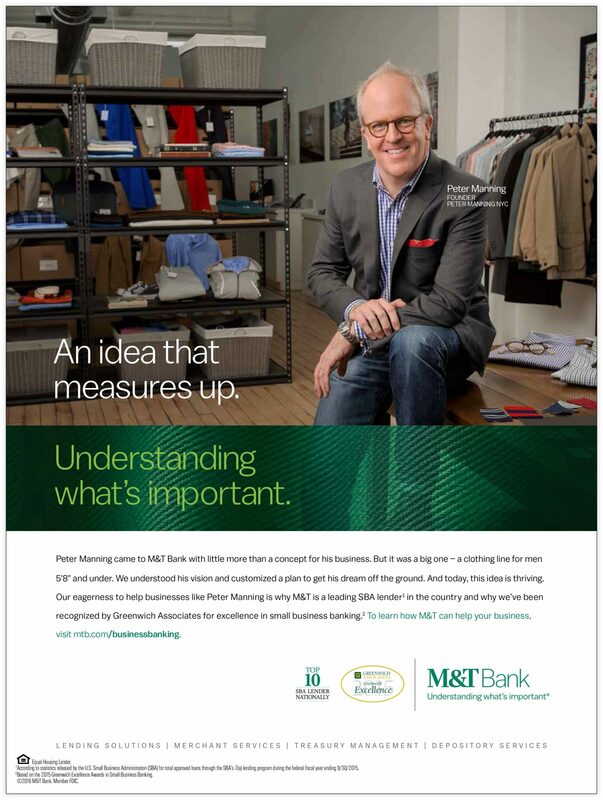 We created a campaign around this fact to reassure former Hudson City business banking customers of M&T’s prowess in the area and to attract new potential clients. As M&T already had a presence in the area, we found existing customers who had interesting stories about working with the bank and featured them in compelling testimonial TV spots. In their own words, they spoke of M&T’s service, dedication, and business banking expertise. From a niche manufacturing plant to a soul food staple in Harlem, we featured a range of recognizable and captivating businesses. In addition to TV, we cut longer pieces for use online, and created print ads as well. While hard results are proprietary, M&T Bank asserted itself as a business banking leader in the New York metro region. A smooth transition was provided to former Hudson City customers, and new clients were welcomed as they learned the type of service and success M&T offers.